Around here, we like our recipes to be three things: simple, delicious, and quick! Though our main priority is of course focused on crafting mouthwatering meals for you and your family, we also understand that life gets hectic. 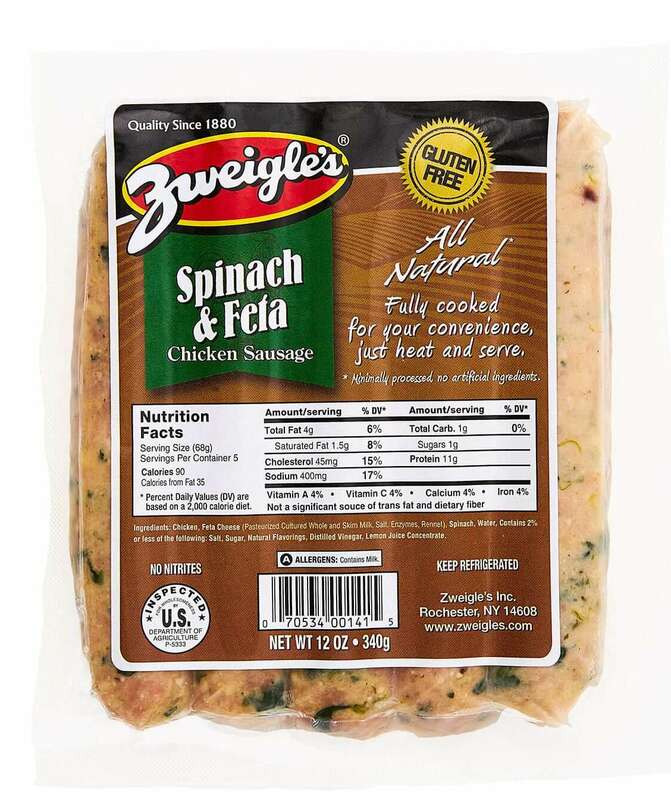 We sure don’t mind spending all day in the kitchen taste testing recipes to share with our Zweigle’s family, but the beautiful part about it is that you don’t have to. 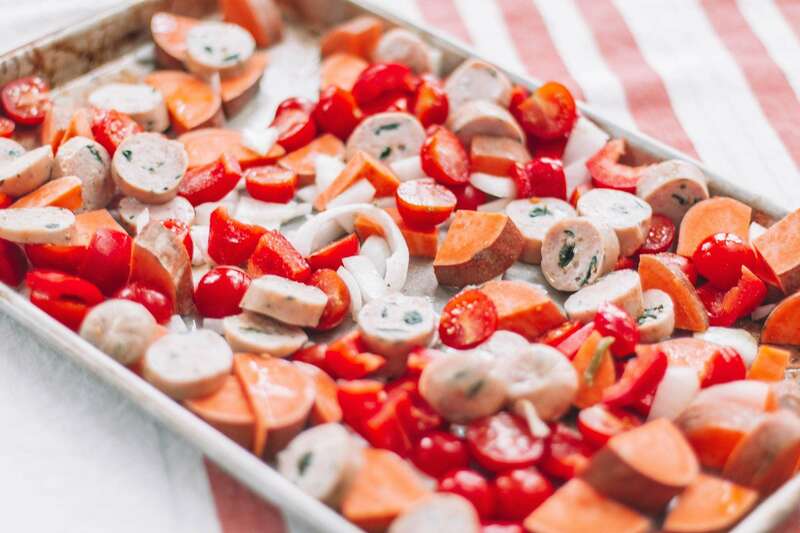 That’s why we’re so excited about our new One Pan Zweigle’s Chicken Sausage and Veggies recipe. It’s healthy, it’s easy, and it tastes amazing. Keep on reading to bring this simple and delicious dish to your home! Cut all ingredients into bite sized pieces. Spread out on baking sheet and drizzle generously with olive oil. Mix all ingredients together to coat with oil and spices fully. Bake at 375 degrees until sweet potatoes are fully cooked.